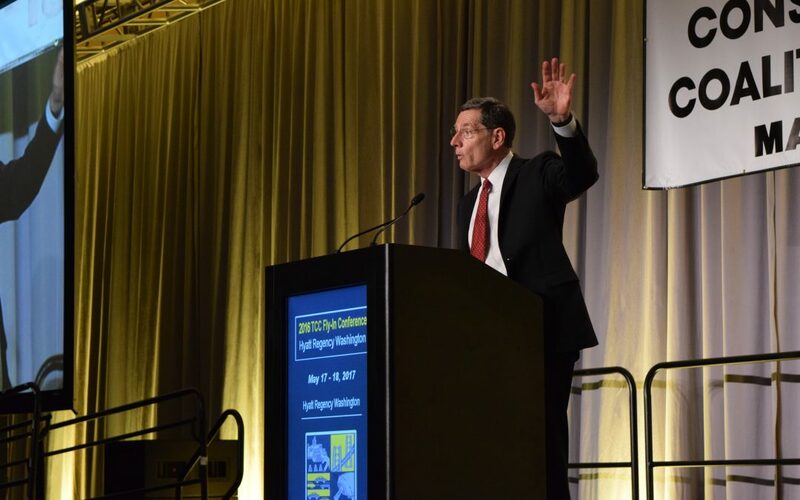 Senate Environment and Public Works Committee Chairman John Barrasso (R-Wyo.) speaks at the TCC Fly-In. The Senate is developing its own infrastructure investment plan as it awaits a proposal from President Donald Trump. Nearly 500 industry executives participated in the annual TCC event. They will be meeting with members of Congress and their staffs May 18 to push for a permanent Highway Trust Fund fix as part of any tax reform package that emerges this year. Barrasso said the Senate will consider a variety of funding sources to pay for the work, but added responsibility ultimately rests with the Senate Finance Committee. “I want to get rid of regulations to lower [project] prices,” he said.